The blitz (which is German for “lightning war”) was a period where the Germans started dropping bombs on large British cities such as London. It lasted from 7th September 1940 to 11th May 1941 and killed 43,000 people over the 8 months it happened. How did the major cities prepare for this? Throughout the major cities, London in particular, there were multiple air-raid shelters. Before there was a bomb attack, an air-raid siren would sound and everyone would stop what they were doing and head to the nearest air-raid shelter, whether that be in their back garden or in the street. This link will open a YouTube video in a new tab and will start playing the sound automatically. What were they made from? 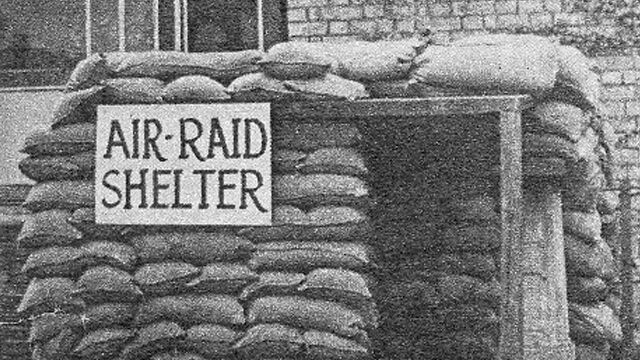 Air-raid shelters were made from rugged metal and other materials given to them at the beginning of the war by the Government. They may have had some protection at the top, such as sand bags, which helped protect it if a bomb exploded nearby. 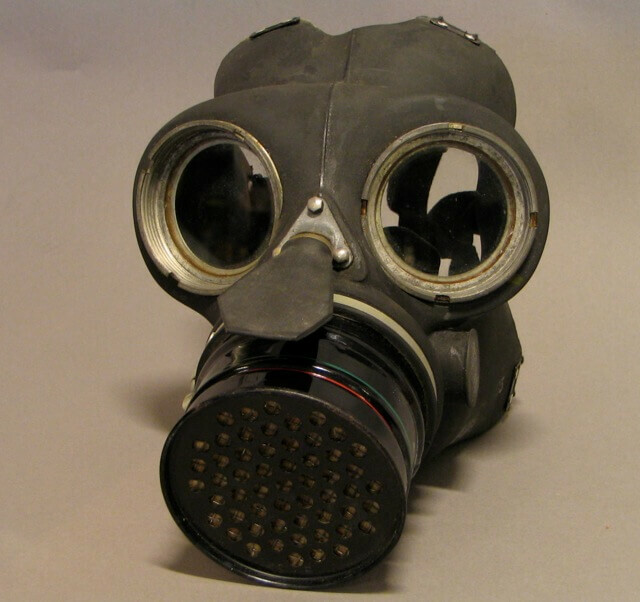 Regardless of whether you were in a city or not, you had to have a gas mask. This was so everyone would be safe in the event of a mustard gas attack. Mustard gas was a deadly gas used during World War I (but not during World War II.) This gas can cause large blisters on any uncovered skin and in the lungs (if breathed in.) It’s now classified as a chemical weapon. There was no mustard gas attack in the UK during WW2 because the Nazis knew that Britain would fight back even more should they have used it.